This year was one of the busiest ever for the SkyVerge crew. Yeah, we know, that’s what startups say about every year. But we really mean it! This year we grew our team, launched new products, made existing products better, and most importantly, helped over 50,000 shops using WooCommerce, Shopify, and Easy Digital Downloads to make more money and provide better experiences for their customers. This was a big year for SkyVerge across the board, with new faces, adventures, and lots of exciting news for our rapidly growing team. Let’s relive it, shall we? When we started the year, SkyVerge was a fully distributed company with 10 employees. As we head into 2018, we’re now a team of 20 with a couple of new team members starting in the coming weeks. Interested in joining the crew? We’ll be hiring for additional roles in early 2018. Keep an eye on our jobs page for more info. It’s not just our team that’s growing: in 2017 we also blew past the revenue goal we had set at the start of the year. The sales growth is what fuels our team growth and enables us to keep improving our products. 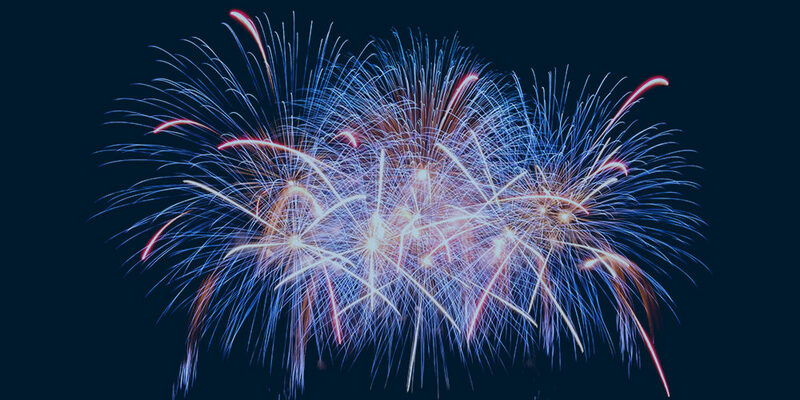 In 2018, we hope to continue on the same trajectory and we’ll also be applying to the Inc. 5000. 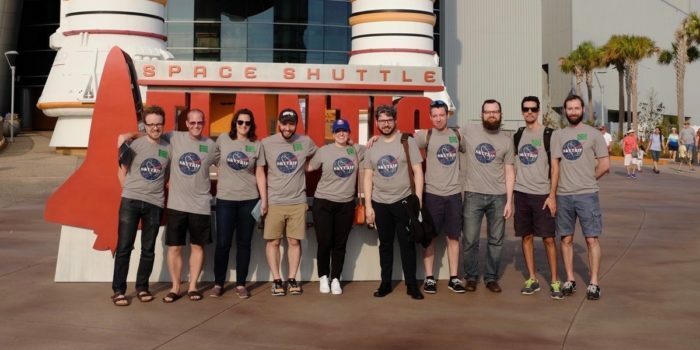 In February, the entire team met up in Orlando, Florida for our annual team retreat, SkyTrip. It was a fun and productive week of team bonding and planning for the coming year. Read about the whole thing here. We’re already planning the 2018 SkyTrip, this time for more than double the number of people! As the leading partner developer for WooCommerce.com, we stay pretty busy supporting the thousands of ecommerce shops that rely on our more than four dozen extensions to grow their online businesses. It’s no surprise that 2017 was a big year for on the WooCommerce side. Our extensions power up some of the biggest shops on the web, and this year we dropped some big updates to some of our most loved plugins. Local Pickup Plus: Version 2.0 updated the plugin to use an entirely new structure for pickup locations, allowing stores with hundreds or even thousands of locations to use those locations at checkout, and later feature releases have refined the multiple checkout workflows that can be used. Google Analytics Pro: Full support for checkout behavior funnels was included this year to ensure that your GA reports populate automatically with as little effort as possible. PDF Product Vouchers: Version 3.0 added a new, easier-to-use visual editor for creating voucher templates, as well as a far more robust voucher management system that even allows partial redemptions. Later in the year, we improved voucher generation performance by removing it from the checkout process, improving overall checkout performance up to 60%. Intuit Payments: Another huge release! Version 2.0 restructured the plugin to add support for the newer Intuit Payments API (while still letting merchants who use QBMS continue to use the plugin), and also added great features like refund / void support, enhanced payment forms, and more. Realex HPP: (Formerly Realex Redirect) Version 2.0 of this plugin includes a full rewrite to leverage all of the latest and greatest Realex features, making this one of the most advanced gateway offerings for WooCommerce, with refund / void support, partial and full payment captures in WooCommerce, and more. Product Reviews Pro: Keep customer reviews up-to-date; this plugin now ensures old reviews are updated instead of accepting multiple reviews from a customer, and customers can now edit their existing reviews. Authorize.Net SIM: Version 1.2 added several store management features, while version 2.0 added Accept Hosted support for an on-site payment page rather than using the hosted pay page from Authorize.Net, creating a more seamless checkout experience. AvaTax: We’ve ensured tax re-calculations can happen before subscription renewals are charged so your payment and tax records always line up, upgraded to the latest features from Avalara, and added Landed Cost support for international sellers, ensuring AvaTax remains the most comprehensive tax plugin available for WooCommerce. 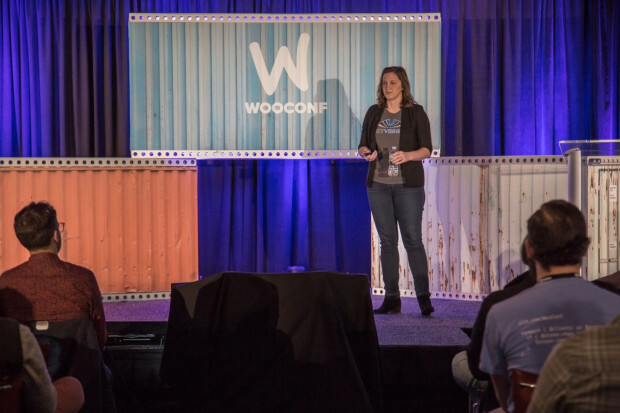 Watch SkyVerge Head of Product Beka Rice’s WooConf keynote here. In October, half of our team converged on Seattle, Washington for WooConf. It was an awesome few days of meeting our customers, networking with peers, hanging out as a team, as well as sponsoring and speaking at the conference. Get the whole scoop on our conference wrap up post. As our most popular WooCommerce plugin, Memberships deserves a special mention. 2017 brought a lot of structural improvements for Memberships, as well as the addition of our first add-ons to the Memberships ecosystem. Updated large parts of the Memberships codebase for WooCommerce 3.0+ compatibility (before the public release of WC 3.0, so updates were smooth! Rebuilt the way rules and restrictions are handled in the Memberships codebase to provide even better compatibility with other plugins and faster performance. Rebuilt the member area in the WooCommerce account section for better navigation, which now lets members sort some of the content and perks they receive. Streamlined member management by adding the ability to create new site users when adding a new member (previously, you had to use an existing user account). Made user membership additions even faster with an “Add member” modal to let you choose an existing user, or add new member details. Expanded non-member shortcodes to allow exclusions. Previously, this shortcode targeted all non-members; now, you can add content for all visitors who are not members of a specific plan, making your upsells display easier. Improved member rules performance and management by automatically grouping similar rules in the “Edit plan” screen. Cleaned up “restriction message” settings for faster set up — and on the development side, these can now be filtered with more granular control, or removed completely. From a structural standpoint, we’ve also made it easier to extend Memberships, which helps our team and other developers create add-ons for Memberships. Speaking of add-ons, we’ve completed development on some highly-requested add-on features: Memberships for Teams, and MailChimp Sync. Memberships for Teams lets you create group, family, or corporate memberships which are managed by one or more people, and should be available on WooCommerce.com soon! We already have several early-adopters using this plugin on live sites successfully. MailChimp Sync , which syncs your member list to a MailChimp account, is being beta-tested now. It will allow you to segment emails by membership type and status. Jilt is our abandoned shopping cart recovery app for WooCommerce, Shopify, and Easy Digital Downloads. We have big plans for Jilt in 2018, and this year we laid the groundwork that will allow us to take Jilt to the next level. In 2017, we helped thousands of shop owners rescue millions of dollars in lost sales. That includes our biggest Black Friday / Cyber Monday ever, when Jilt users sent over 120,000 emails that helped stores recover almost half a million dollars! We’re primed for even bigger numbers in 2018, when we’ll add new ways for you to communicate with your customers. Thanks to our amazing customers, we’re now one of the top 20 marketing apps in the Shopify app store, and top 50 overall! That’s only possible because our awesome customers are helping spread the word by leaving positive reviews about their Jilt experience. We work hard to deserve those reviews, and we’re super appreciative whenever someone decides to leave us one! We put a lot of resources into Jilt behind the scenes this year, and it shows. We’ve been pushing updates to the app almost non-stop the past few months, including our brand new email editor, the ability to send emails from your own domain, and way to automatically generate unique discount codes for your customers. We also pushed hundreds of other minor (and not-so-minor) improvements and new features. On tap for 2018, we have more big updates planned for Jilt, including a bunch of new ways to automate communication with your customers and boost your sales! There were big changes for Jilt outside of the app, too. We also debuted completely new branding. This has helped unify our online presence and make the Jilt brand more cohesive and accessible. Our new logo also looks super cool on a t-shirt or sticker (we’ll be heading to a bunch of conferences in 2018 where you can pick up some Jilt swag — follow us on Facebook to find out when and where!). The new pricing structure lays the groundwork for our plans to expand Jilt to additional lifecycle emails, automations, and communication channels in 2018 and beyond! You’ll always pay for MCEs, not for additional features or types of automated communications. 2017 was an amazing year in SkyVerge land. We grew our team, helped thousands of stores sell more and delight their customers, and we shipped dozens of new products and features. For 2018, we’re planning to keep moving full steam ahead. 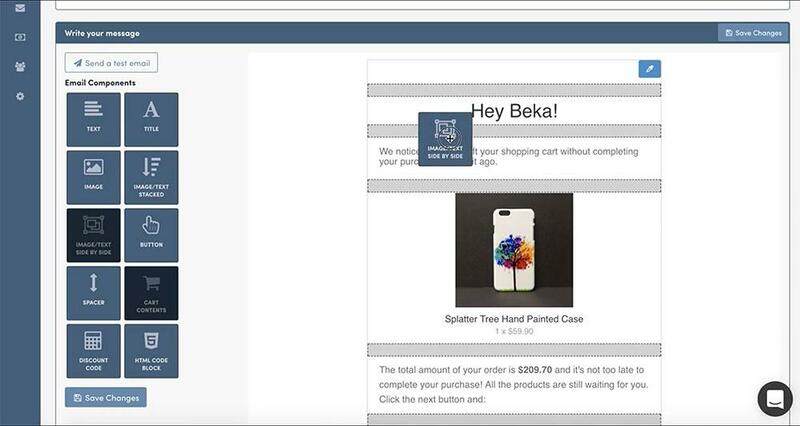 With Jilt, we’ll be rolling out some exciting new features in Q1, including post-purchase follow up emails. For WooCommerce, we have further Memberships enhancements and add-ons in progress for Q1, along with WooCommerce 3.3 prep, and for Shopify we’ll continue to improve and enhance our apps and deliver five-star support! You guys indeed had an amazing 2017. Here’s to a greater 2018 ?